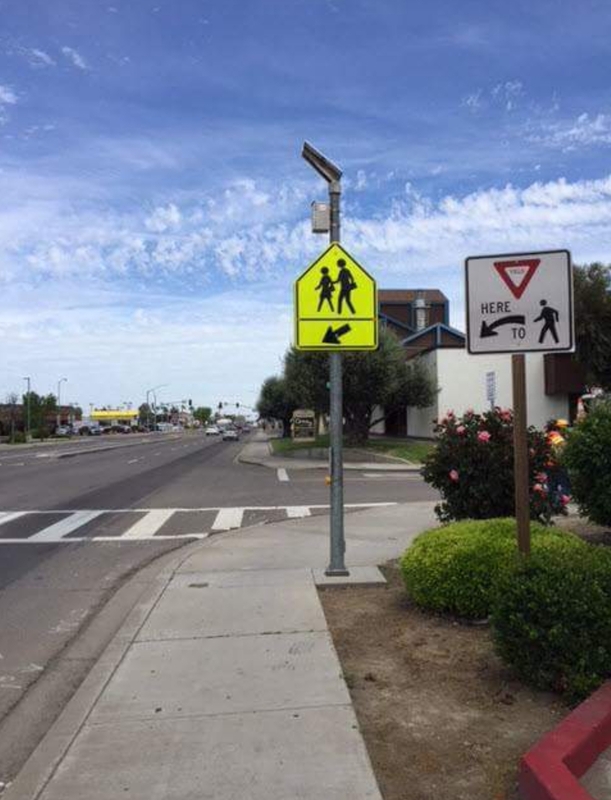 Recently Caltrans installed pedestrian safety signs at the intersection of State Route 152 (SR-152) Pacheco Boulevard and 11th Street in Los Banos. 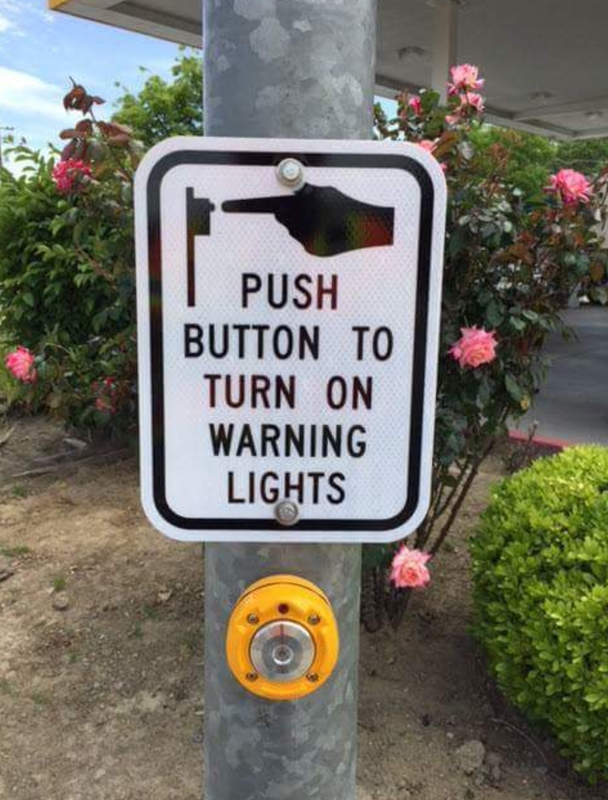 Pedestrians can use the button on either side of the street to turn on the LED warning lights, which are solar-powered. This is an interim measure, and is part of a project to install a traffic signal at this intersection.